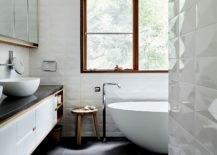 It is no use having a ton of space if you are not going to put it to proper use. 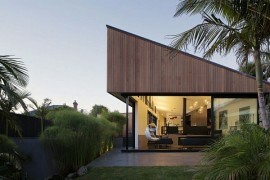 And in the world of home design, proper use involves both the right aesthetics and ergonomics. 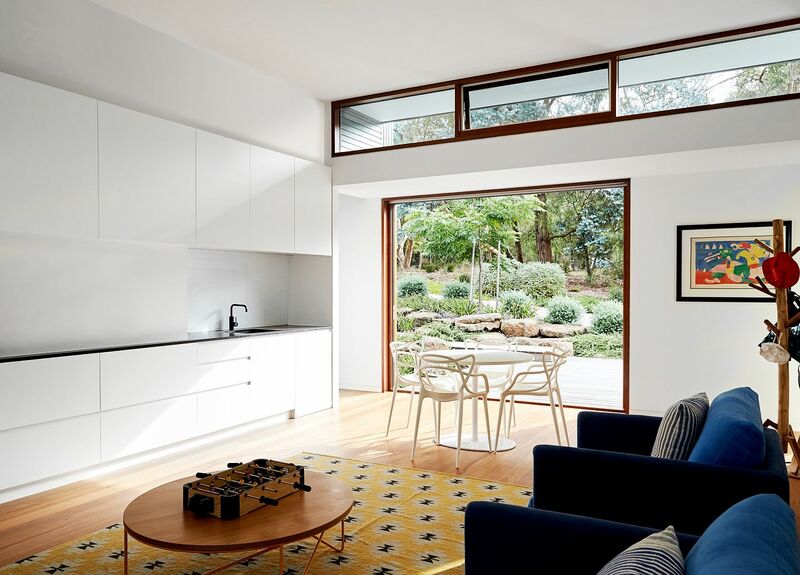 The Shoreham House in Australia is not one that dates back to mid 1900s, but it was a home that was in need of a makeover with its residents wanting both a new addition in the backyard along with a smart makeover as well. 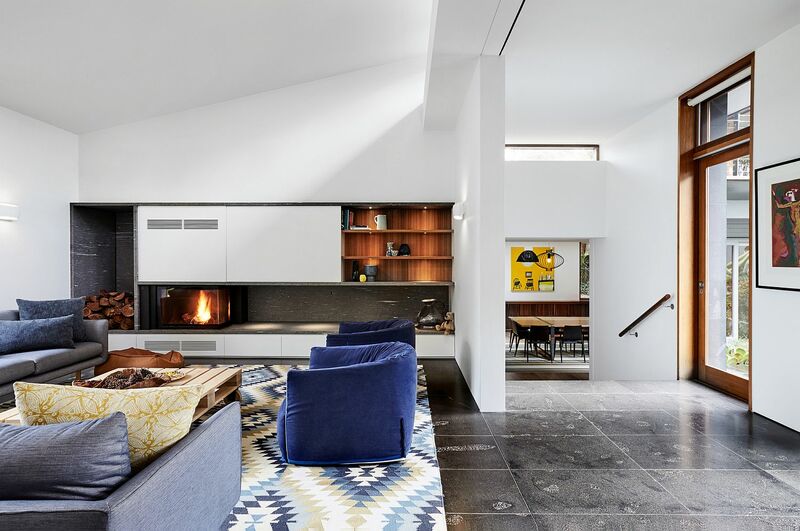 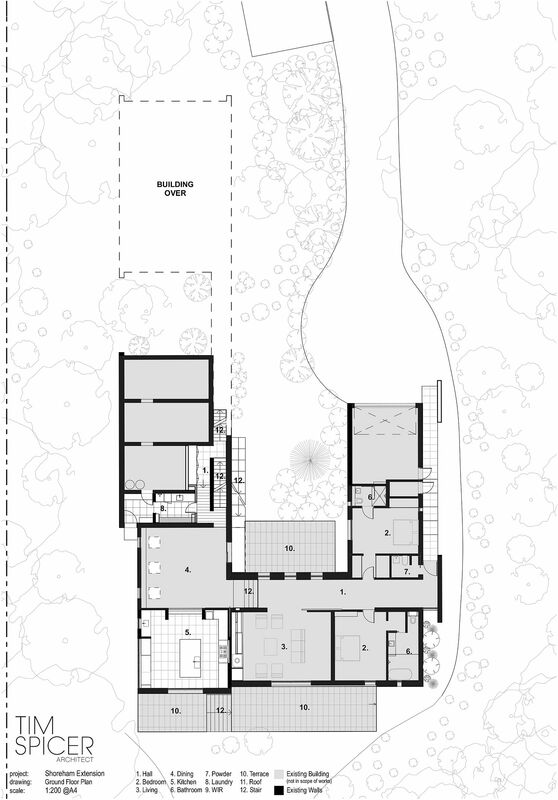 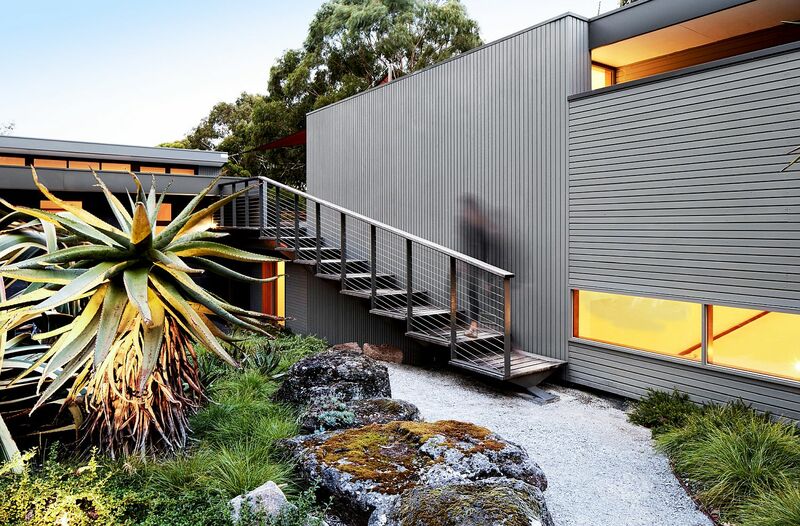 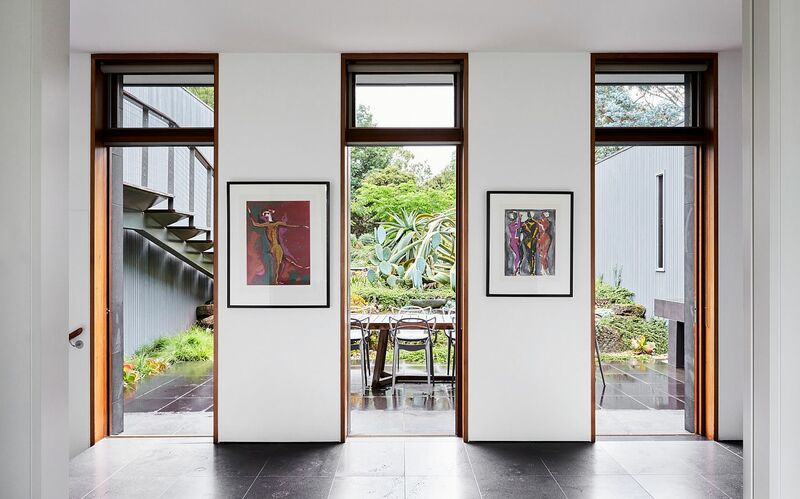 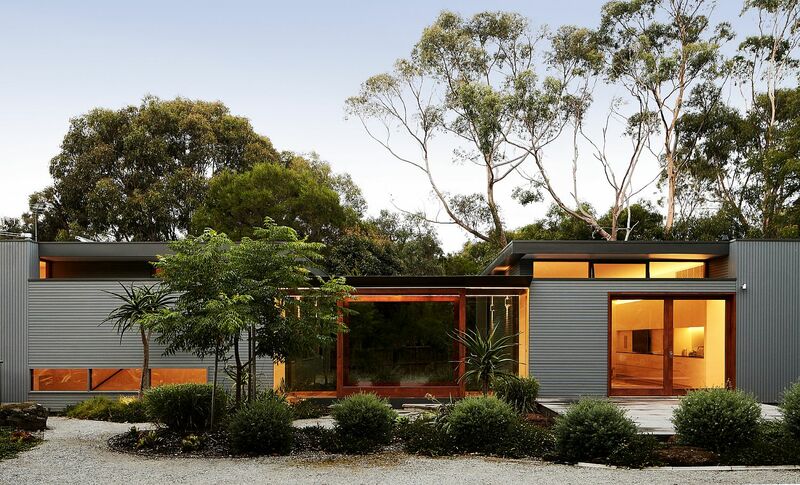 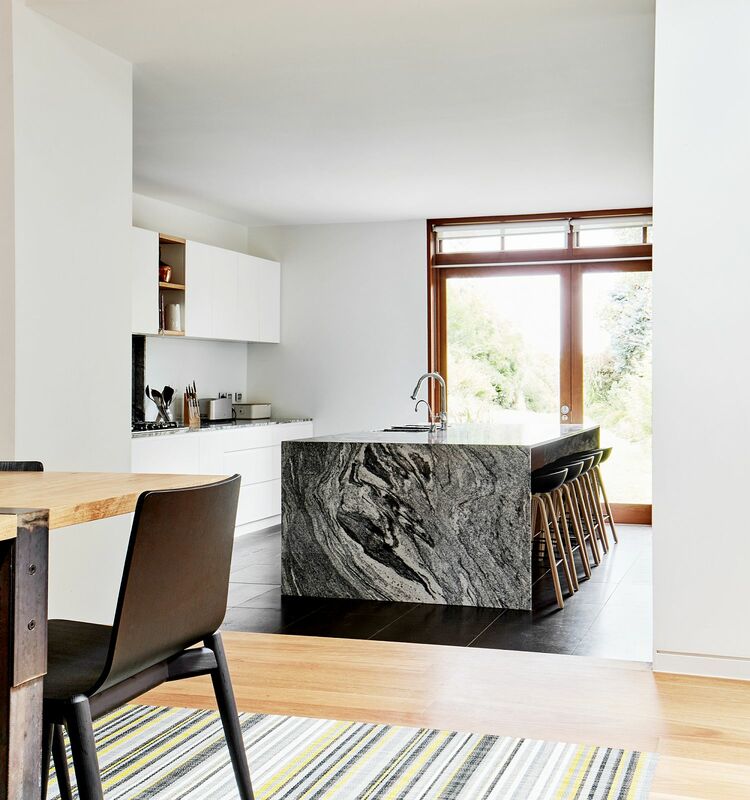 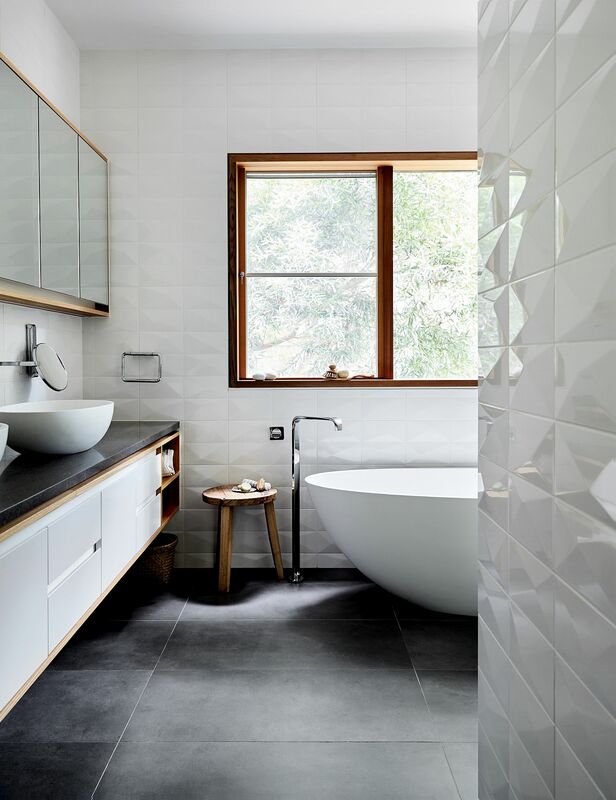 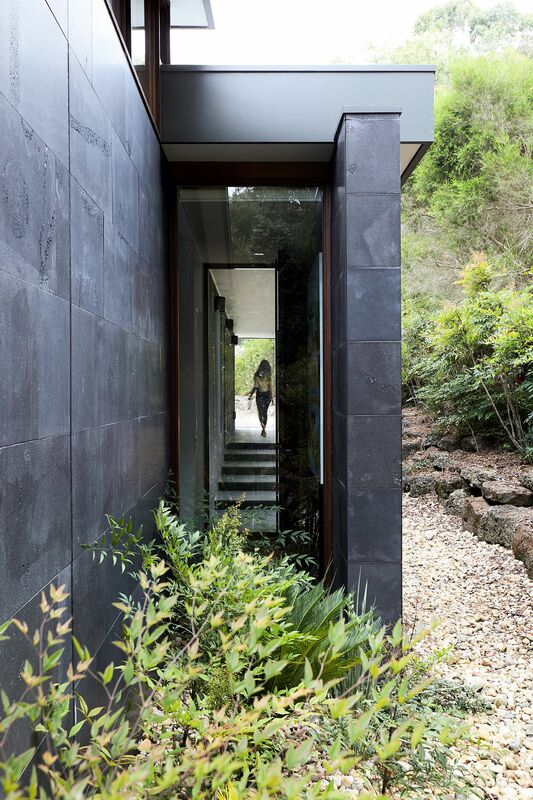 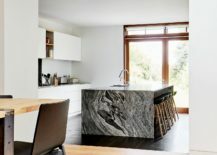 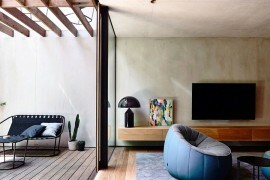 In its new avatar, the house revamped by Tim Spicer Architects combines the old and the modern in a stylish manner while ensuring that there is a greater connectivity between the interior and the landscape. 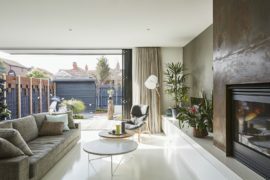 Elegant, cheerful and inviting, the residence now feels both spacious and timeless in its appeal. 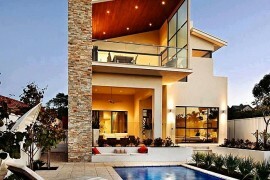 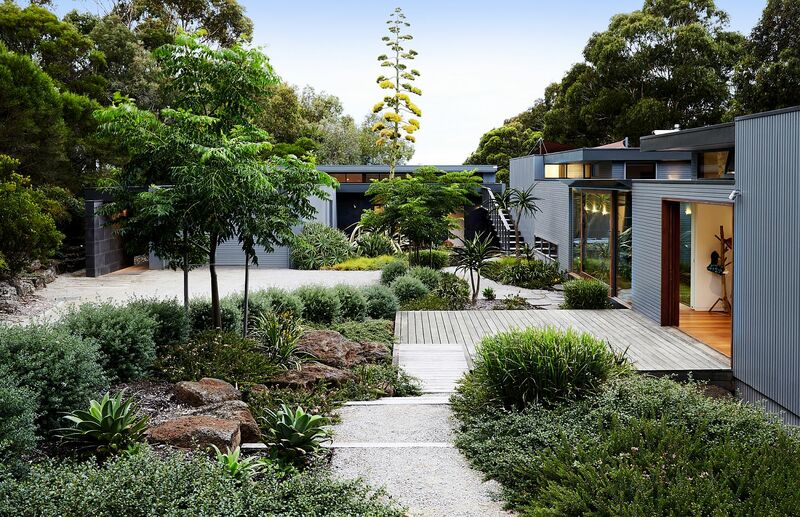 Stunning green landscape around the house gives it its true aura! 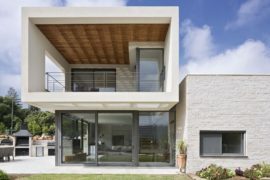 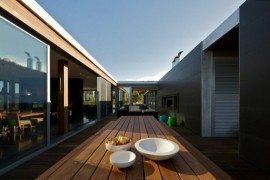 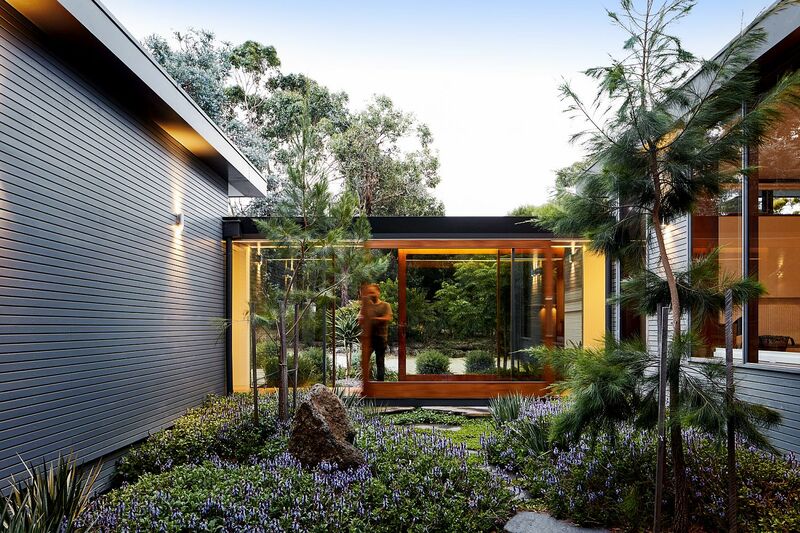 It is a glazed bridge walkway that connects the exsisting house with its new extension while a reinvigorated landscape welcomes one gleefully. 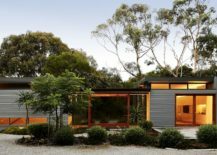 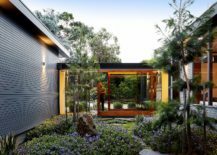 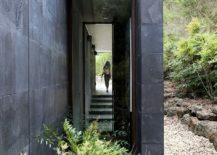 The architects made most of the lush, green scenery around the house with large glazed doors now bringing the outdoors inside in an efficient and seamless manner. 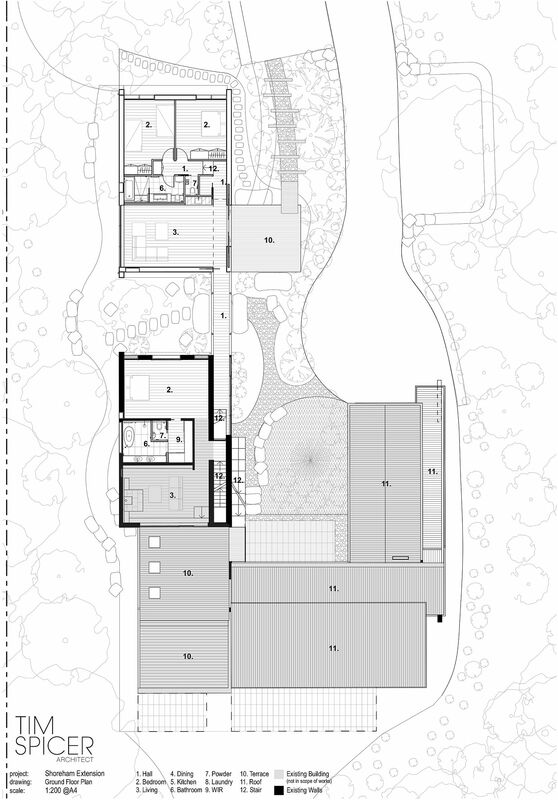 It is the lower level that contains the living area along with kitchen and dining space while the top floor holds the master suite along with additional bedrooms. A smartly redone stairway offers glimpses of the distant ocean view as one moves to the upper level while a more clearly delineated entrance adds to the overall ambiance. 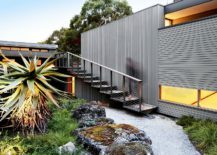 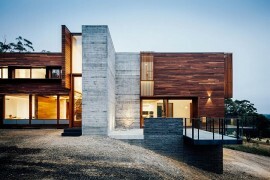 During the construction of this house measures where taken to bring the buildings sustainability up to scratch. 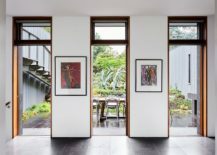 New LED lighting throughout the house replaced old halogen lighting. 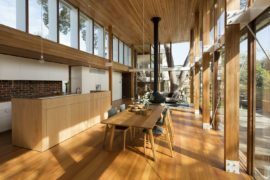 New solar hot water system, Low-E coatings on existing glazing, passive solar design on new built form, high R value insulation, energy efficient appliances and ducted combustion fireplace all contributed to bring the house toward a more sustainable level.